New measures put in place to tackle hate crimes include a review of legislation, extra funding to support communities and improving the response to incidents. Hate crime goes directly against the long-standing British values of unity, tolerance and mutual respect – and I am committed to stamping this sickening behaviour out. Our refreshed action plan sets out how we will tackle the root causes of prejudice and racism, support hate crime victims and ensure offenders face the full force of the law. The updated plan includes over £1.5 million of new funding for programmes that work with schools and young people to challenge discriminatory beliefs, promote positive discussions and encourage reporting. This includes supporting Kick It Out to challenge attitudes and behaviour in grassroots football and continue its work with Show Racism the Red Card. It is completely unacceptable that anyone should live in fear of intimidation and violence because of their beliefs or the colour of their skin. We must challenge prejudice and intolerance, whenever and wherever it appears in our society. Alongside publishing our refreshed plan to tackle hate crime, I am pleased to announce further funding of over £1.5 million for projects that challenge the attitudes that underpin racially and religiously motivated crime. Britain is a proudly tolerant nation, where everyone has the right to live according to their beliefs. 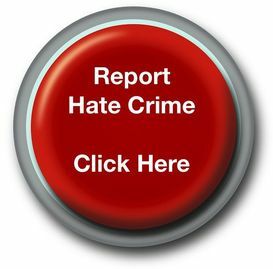 Despite this, in recent years we have seen increased reports of religiously motivated hate crime, intolerance and prejudice. The publication of today’s updated plan reaffirms this government’s belief that there can never be an excuse for hatred towards anyone. Wherever we find it, we will oppose it and challenge it. As well as extending the Places of Worship Scheme from 3 to 4 years, the Home Office confirmed today that 45 places of worship have been awarded nearly £800,000 in the latest round of funding through the scheme. This year, grants have been awarded to 9 churches, 22 mosques, 2 Hindu temples and 12 Sikh gurdwaras. Since the scheme launched in 2016, 89 grants worth over £760,000 have been allocated to places of worship across England and Wales. While I am proud that the UK continues to be a tolerant country we know that, sadly, there are pockets of people who attempt to intimidate religious communities through violence and abuse just because of their faith. The Places of Worship Scheme works to ensure religious freedoms are protected and I am pleased this funding can provide further reassurance to others that this government will support them. The publication outlines the progress made against actions committed to in 2016. Completed actions include launching the Building a Stronger Britain Together programme, funding for organisations across all hate crime strands and carrying out a project with the Sophie Lancaster Foundation to challenge hateful attitudes.